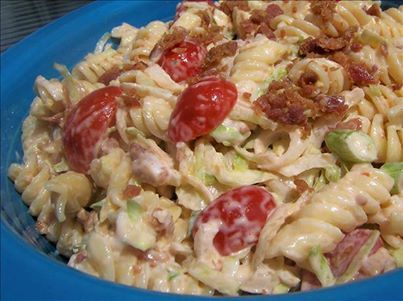 BLT Macaroni Salad Recipe livens macaroni using mayonnaise, chili sauce, lemon juice, sugar, tomato, elbow macaroni, green onions, lettuce and bacon to make this attractive and very tasty pasta dish. In a large bowl, combine the first four ingredients; mix well. Add the macaroni, tomato and onions; toss to coat. 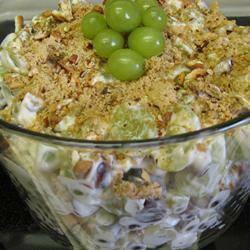 Just before serving, add lettuce and bacon; toss to coat.